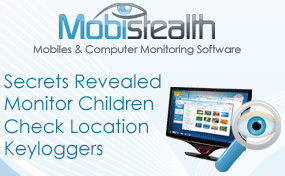 MobiStealth is a popular spy software that comes with a simple web-based console and powerful monitoring features. It is developed by Infoweise Pty Ltd, a private company headquartered in Sydney, Australia. They have been making high quality monitoring solutions since 2009. In November 2015, they launched a “Non-Jailbreak” feature, letting users spy on all iOS devices without needing to jailbreak them. Just like many other spy software, MobiStealth allows you to spy on a cell phone or computer via a web interface called StealthClub. As its name implies, it is a stealth application that runs in the background without the owner’s knowledge. MobiStealth is a subscription-based service, which means you will pay a monthly or yearly fee to continue to use the program. However, other services, like Highster Mobile, were offering a one-time purchase with no subscription fee. To pay for your subscription, you can use a credit card. You may cancel your subscription at any time by contacting customer service. Once you purchase a subscription, you will be able to download and install the spy software onto the target device (the phone or computer you are monitoring). Please note that you must have access to their phone or computer to install the software. It is not possible to install a spy app remotely. Once you’ve installed the software on a machine, it will run in the background and automatically record all activities on a user’s phone or computer, and then upload the recorded data to your MobiStealth account. Simply log in to your account at StealthClub (www.mobistealth.com/client_login.php) to view results. Unfortunately, MobiStealth doesn’t have a feature that allows you to spy on Facebook or Snapchat. Hopefully they will add this feature in future versions. mSpy has an app that allows you to track your children’s activity on Facebook, Instagram and Snapchat. 1. Make sure the target device is compatible with MobiStealth. It is currently compatible with devices running iOS, Android, Windows and macOS. A full list of supported devices can be found on its website. You should check to see if your device is supported before purchasing. 2. Have access to the target device. The MobiStealth spy software needs to be downloaded directly onto their device. Keep in mind that you can’t install it remotely. 3. Make sure that the device has an internet connection. Internet access is required to download and activate the software. MobiStealth also uses the Internet to send activity logs to your account. 4. Avoid rooting or jailbreaking the device. 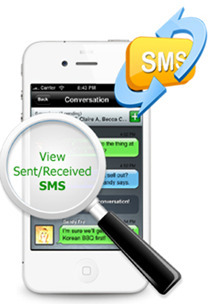 MobiStealth’s instant messenger monitoring feature is only available on a jailbroken iPhone or on a rooted Android phone. Do not root or jailbreak the device unless you really need this feature. 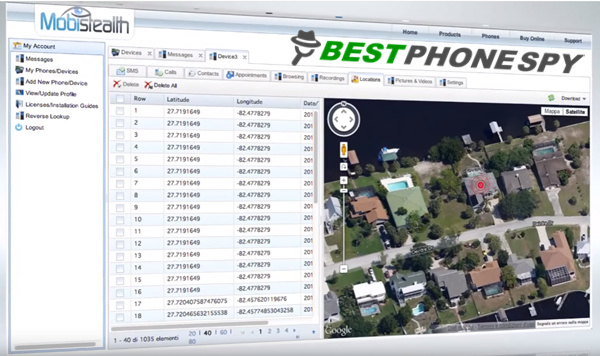 The MobiStealth spy software is available on Android and iOS devices, as well as on Windows and Mac computers. For a list of supported devices, see www.mobistealth.com/products.php. MobiStealth for Android: Call recording, surround recording, spying on instant messages, emails, text messages, photos, videos, GPS, contacts, call history, browsing history, installed apps. MobiStealth for iPhone (Jailbreak): Spying on SMS, MMS, iMessages, WhatsApp, GPS, call history, browsing history, photos, videos, emails, contacts. MobiStealth for iPhone (Non-Jailbreak): Spying on WhatsApp, WeChat, Viber, Kik, LINE, SMS, MMS, iMessage, call history, contacts, installed apps. MobiStealth for Windows: Spying on emails, screenshots, keystroke, Yahoo Messenger, Skype. MobiStealth for Mac: Spying on screenshots, browsing history, keystroke, Skype. They offer multiple packages that you can choose from. Your subscription will be renewed automatically at the end of each month or at the end of each year. There is no free trial, but there is a 15-day money-back guarantee. The Pro Plan charges $49.99 every three months; $79.99 every six months; or $119.99 per year. The Pro-X Plan costs $79.99 every three months; $129.99 every six months; or $179.99 per year, and comes with added features such as call recording, surround recording and instant messenger monitoring. The Premium Plan costs $99.99 every three months or $149.99 per year, and Premium Plus goes for $119.99 every three months or $179.99 per year. The Lite Plan costs $39.99 every three months; $59.99 every six months; or $79.99 per year. The Pro Plan costs $59.99 every three months; $79.99 every six months; or $99.99 per year. The company has been in the industry for at least 7 years, and has developed some very good monitoring apps like SecureTeen. In my opinion, it’s a reliable company that you can trust. For parents or employers who wish to monitor the computers, smartphones, or tablets that they issue, MobiStealth is always the software of choice. It has some great features, such as recording all incoming and outgoing calls and tracking location without GPS. While their website is a little old-fashioned, their spy software is state-of-the-art.